Sleeping Dogs and Lara Croft and the Guardian of Light will be January's "Games with Gold" freebies. While Microsoft's "Games with Gold" program for the Xbox 360 brought in a 2006 title as its main freebie this month, January's offerings have been revealed, and thankfully, they're much newer than the original Gears of War. In an update on the official Xbox site, Microsoft has announced that Sleeping Dogs and Lara Croft and the Guardian of Light will be ringing in the New Year for Xbox 360 users with Xbox Live Gold memberships. 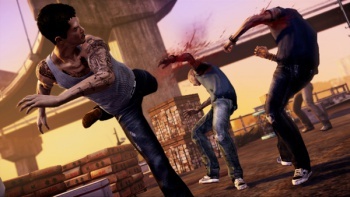 Released in August 2012, Sleeping Dogs is an open world action game developed by United Front Games and had the player exploring the streets of Hong Kong. You can check out The Escapist's review of the title where it was awarded 4/5 stars and was called, "A solid open world crime game." Created by longtime Tomb Raider developers Crystal Dynamics, Lara Croft and the Guardian of Light wasn't your typical Tomb Raider game and even the marquee brand was dropped to usher in the reboot for the 2010 downloadable title. It thrust Lara into an action puzzle game with an isometric view and even had a Mayan warrior named Totec as Lara's ally, which is a first for the series. You can catch up to the game by reading our review where we label it as "sensational." What do you think of January's Games with Gold games and what do you want to see in February?